Chinese New Year… A time of gathering, feasts after feasts. Probably the most important event in many households, it could very well be the costliest too. Singaporeans reportedly expected to spend an average of $2,503 for CNY according to last year’s survey. Now, that is a considerable sum even if it’s a yearly affair. Here’s how Grab helps you to enjoy the festive celebrations without burning your hard-earned savings! Thinking of gifts for your parents or in-laws? You can never go wrong with New Moon. 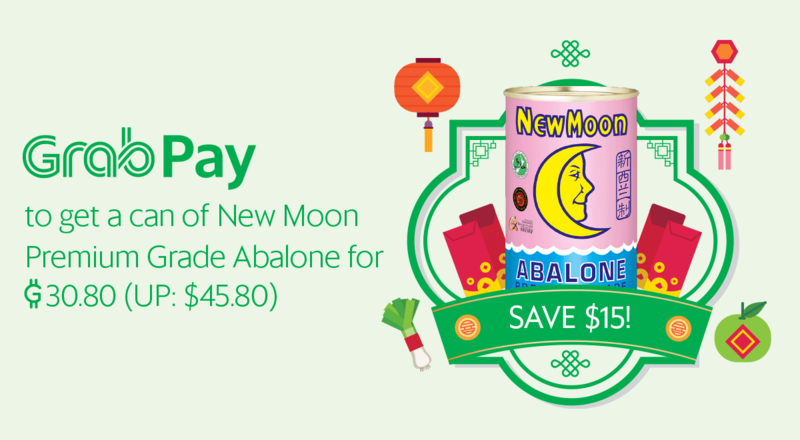 For just $30.80 (UP: $45.80), get a can of New Moon Premium Grade Abalone when you pay with GrabPay at the New Moon retail store from 9 to 11 Feb 2018 – even cheaper than what supermarkets are offering! That’s $15 off every can (limited to 6 cans per person) which means $90 savings in total! You even get to earn 5 GrabRewards points for every $1 spent. Now, you can enjoy New Moon abalone more than just once in a blue moon. Head over now using promo code ‘GPNEWMOON‘ to get *$3 OFF rides to/from the store. Better hurry because the first 88 customers will receive an additional gift of $10 OFF Grab rides. If you haven’t tried using GrabPay for in-store purchases, now is the perfect time! From 5 Feb to 4 Mar 2018, make an in-store GrabPay transaction of at least $3 within the week to unlock $5 off a Grab ride the following week. 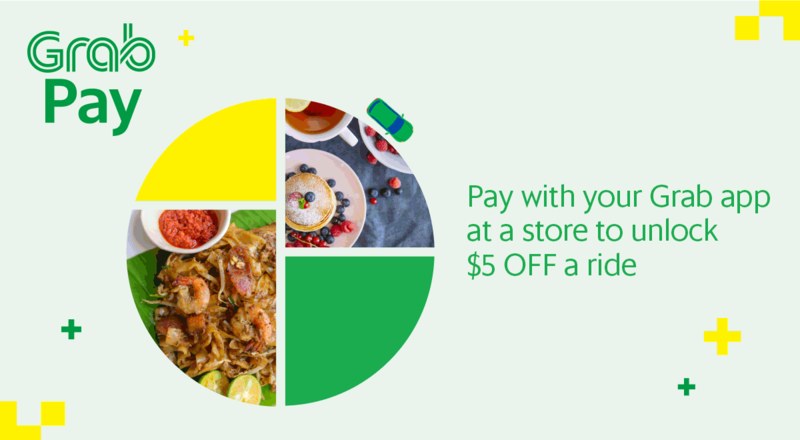 For up to 3 transactions, this gives you 3 rides x $5 off! Not only will you save on rides this CNY, you’ll earn GrabRewards points that you can use for great deals (see below)! What to do with all these GrabRewards points you’ve accumulated for free? Turn them into trendy outfits that will win you compliments from your aunties and uncles. Check out our popular fashion partners and get your vava-vroom going! Enjoy $5 off your next Shopee purchase with no minimum spend for 1700 GrabRewards points. Enjoy $8 off your next Love, Bonito purchase online for 2700 GrabRewards points. Enjoy 18% off on your next Zalora purchase with no minimum spend for 4500 GrabRewards points. With listings ranging up to $398 on Carousell, now we all have got to think twice before we use up an angbao packet, for the paper might very well be worth more than its content. While we can’t promise our GrabHitch angbao packet can fetch you a handsome sum, it is limited edition and comes with a cute Shiba Inu bound to delight your loved ones. Want a set? Read on! 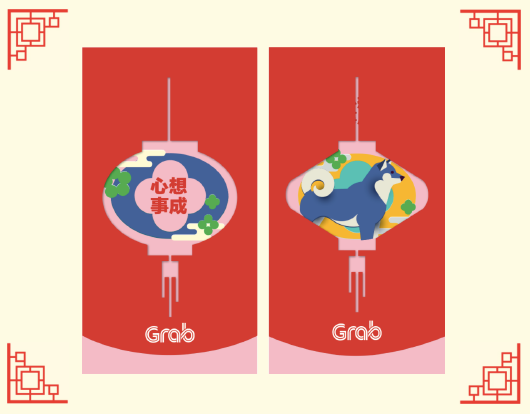 Besides winning GrabHitch angbao packets, we have more than $100,000 cash prizes and vouchers to be won in our GrabHitch Match & Win Zodiac contest. Exclusively for Hitch Drivers, simply pick up riders from different zodiac areas and win cash prizes each week, on top of the savings you already get from hitching fellow commuters on the way to your relatives’ house. This contest runs for all 4 weeks in February which means you’re still in time to be in the running to take home that $1,888 grand prize! Not yet a Hitch Driver? Sign up with referral code HITCHCNY, earn $20 bonus and stand a chance to win attractive cash prizes. Join in the fun now! Want to find out how you can earn money and receive instant prosperity this CNY? Check out the Grab App on 15th February for the 6th bargain coming your way.